Fox News Accuses Trump of "Sexist Verbal Assaults"
The ugly and somewhat bizarre war between Fox News and GOP Presidential nominee Donald Trump continued on Friday as both sides lashed out at each other once again. Following a Tweet in which Donald Trump called for a boycott of Megyn Kelly's show and labelled the anchor "sick" and "overrated", Fox News struck back in the form of a press release. In the release, Fox News defended their anchor against Trump, calling Megyn Kelly an "exemplary journalist" and "one of the leading anchors in America". Fox News then lashed out at Trump, calling the GOP Presidential nominee frontrunner out for his "endless barrage of crude and sexist verbal assaults". Fox News continued that "it's especially deplorable for her (Kelly) to be repeatedly abused just for doing her job". Donald Trump's campaign responded to Fox News on Friday night, stating that Trump will "continue to defend himself against the inordinate amount of unfair and inaccurate coverage he receives on her second-rate show each night". 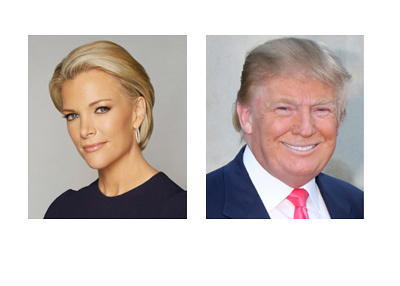 The animosity between Donald Trump and Megyn Kelly started during the first Republican Presidential debate last August. Trump felt that Kelly's questions towards him were harsh, especially when compared to the questions that were asked of the other candidates. Many Trump supporters felt as though Fox didn't want Trump as the GOP Presidential nominee and that Megyn Kelly was being used to try to besmirch Trump and his campaign. Trump continued to lash out at Kelly in the months following the first debate, and his animosity towards the anchor led to him skipping the Fox News debate in January. Trump returned to Fox News in March for the third Republican debate, with Kelly once again asking Trump pointed and tough questions. Over the past couple of weeks, the vitriol has flowed from Trump once again, resulting in Fox News taking the step of releasing a press release on Friday evening. If Trump does secure the GOP Presidential nomination, it will be very interesting to see the dynamic between Trump and Fox heading into an expected battle against Hillary Clinton.